Amitabh Bachchan and Taapsee Pannu will be seen together again in the upcoming movie Badla, which is slated to hit theatres on March 8. Both the actors have shared their first looks from the film. The duo shared screen space in Aniruddha Roy Chowdhury’s National Award-winning film Pink (2016). 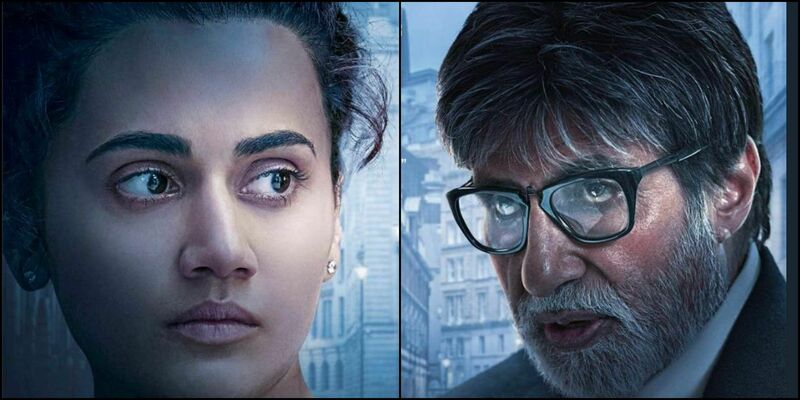 While Taapsee puts on a frightened look in one poster, Big B poses an intense look with black-rimmed glasses in the other. Big B will be seen next in Ayan Mukerji’s sci-fi movie Brahmastra co-starring Ranbir Kapoor, Alia Bhatt, Mouni Roy and Akkineni Nagarjuna that is slated to release later this year. On the other hand, Taapsee recently wrapped up her upcoming film Mission Mangal which also stars Akshay Kumar, Vidya Balan, Sonakshi Sinha and Nithya Menen.